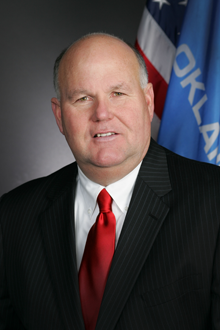 Gary Jones, Oklahoma State Auditor and Inspector since 2010. In April, 2012, his office released a Petition Audit Report on the operations of the Town of Bernice in Delaware County, Oklahoma, about 70 miles Northeast of Tulsa. The report found a number of abuses of the state's Open Meetings Act, which were well summarized the following day by FOI Oklahoma in their blog. Many of the identified abuses involved executive sessions. Some examples: discussing contracts of independent contractors in executive session; rarely taking minutes of executive sessions; not listing the statutory authorization for executive sessions or listing the wrong one; not including the names or unique titles of employees to be discussed in executive sessions; not identifying the "specific purposes of the sessions"; and voting in an executive session. Although these abuses are somewhat characteristic of abuses of public trust, they do have analogs in the organizational context. And those analogs are just as corrosive. Too bad most private sector organizations don't have an analog of a State Auditor's Office. And too bad most organizations don't have an analog of someone like Oklahoma's Gary Jones. Photo courtesy State of Oklahoma. Continuing our exploration of the tactics of bully chairs, we now turn to techniques that depend on the chair's abuse of the form of the meeting itself. See "When the Chair Is a Bully: I," Point Lookout for June 20, 2012, for more. The executive session, either formal or informal, is perhaps the most extreme form of participation control. It is especially tempting when the executive session attendees are trusted allies of the chair. When there are customs or bylaws that specify executive session attendees, the chair's ability to abuse this form is limited to overuse. That is, the chair allocates to executive sessions decisions regarding issues for which executive sessions aren't required. But when there is no definition of the reasons for convening executive sessions, any use at all potentially constitutes abuse. Excluding members of a team that otherwise meets regularly as a whole should be a rare event. Frequent use might indicate intentional exclusion of disfavored attendees. Logging dates and times of all incidents is useful, but unfortunately it is possible only if the executive sessions themselves aren't secret. Some chairs feel that the "entire meeting is against me." Some distrust nearly all attendees. Others feel powerless to oppose the influence of disfavored attendees. To these bully chairs, the one-on-one provides control. They meet privately with each attendee, so as to eliminate open discussion altogether, and enhance their ability to control — or misrepresent — what the "attendees" can say to each other. Since open discussion is an effective means of ensuring informed and sound decisions, chairs who adopt the serial one-on-one tactic are placing their organizations at risk. Log the frequency of open meetings and note trends in that frequency. It's typical for chairs to determine what is appropriate for discussion at meetings, or at what meetings particular topics can be discussed. This power is abused by chairs who schedule topics for meetings that disfavored attendees cannot attend, or who sequence agendas so as to schedule certain topics for portions of meetings in which disfavored attendees will be absent. Some chairs schedule topics so that disfavored attendees might be attending by means of a disadvantaged medium, such as telephone or video, when they usually attend in person. Some chairs decide that some topics won't be discussed at all. a rare eventdecisions that appear to have been taken outside the meeting context, or when disfavored attendees are absent or disadvantaged. This information can be helpful in demonstrating a pattern of abuse. Would you like to see your comments posted here? rbrenXLwQFPIchclKXQZRner@ChacbjviZHtjcOADRwXQoCanyon.comSend me your comments by email, or by Web form. I offer email and telephone coaching at both corporate and individual rates. Contact Rick for details at rbrenJGKEFTMozyiFAZFCner@ChacmpFKTpuFsDqszAAioCanyon.com or (650) 787-6475, or toll-free in the continental US at (866) 378-5470.